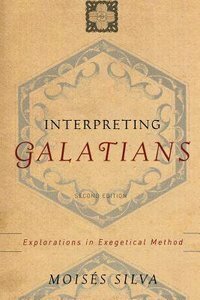 Addresses the key issues surrounding the exegesis of Galatians and the other Pauline Epistles, exploring how literary, historical, and theological factors impact interpretation. The first edition appeared as Explorations in Exegetical Method. This second edition features a new appendix and will be welcomed by all those studying the Pauline Epistles. Moises Silva (PhD, University of Manchester) has taught biblical studies at Westmont College, Westminster Theological Seminary, and Gordon-Conwell Theological Seminary. He is the revising editor of the Zondervan Pictorial Encyclopedia of the Bible and the author of six books, including Biblical Words and Their Meaning, a commentary on Philippians, and Interpreting Galatians.